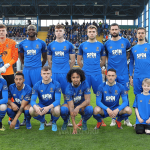 Waterford FC is delighted to announce a new sponsorship partnership with Irish lighting brand ROBUS. The ROBUS brand is part of the world renowned LED Group and distributes over 1,000 leading market products to over 40 countries worldwide. ‘ROBUS’ have come on board as Sleeve Sponsor for the 2017 season and it is hoped that this can be the start of an excellent relationship between the club and Dublin based company. 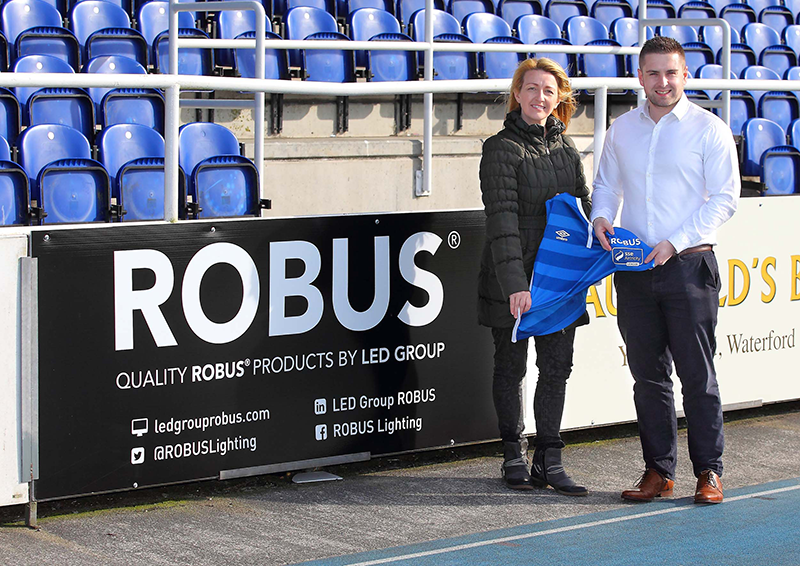 “We at Waterford FC are delighted to welcome ROBUS, a brand of the LED Lighting Group, as one of our main sponsors for 2017. 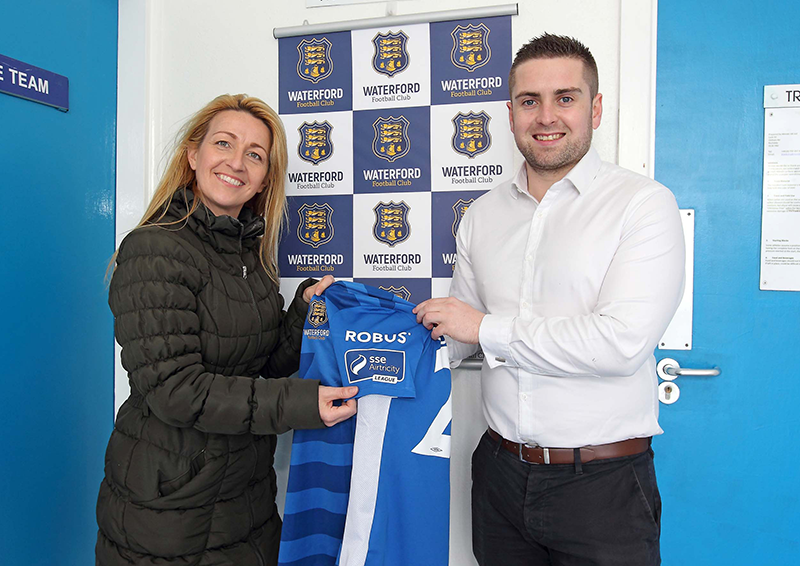 “We at ROBUS are delighted to be associated with Waterford FC. 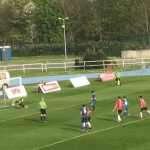 Since the club was re-branded and re-established this year, we saw it as the perfect opportunity to link up with a sports team on the rise.